A comprehensive beauty tour of Los Angeles is a serious undertaking. It's nothing like a New York beauty tour—one that can take you from end to end of Manhattan and over the bridge to Brooklyn in a few short days, all thanks to convenient and affordable public transportation. In LA, for one, you need to have a car. Or at least you need to be comfortable in an Uber for long stretches of afternoon traffic, particularly on Fridays. So says every LA-based Uber driver the ITG team has ever met. Which is why this beauty tour is a little bit different. Most notably, it begins on a Thursday. Gotta factor in that drive time. Other than that, geography has impacted this tour very little. It's the best of the best, but please consult Waze for accurate ETAs. Arrive: If you're not a native, make your way in from LAX (or wherever) and put your bags down. Maybe change your clothes if you've arrived from the cold in layers of thermal shirts and compression socks. That is not the LA look. You owe it to yourself to make this tour more authentic than that. 3PM: Make your way to the nearest natural and organic food market called Erewhon for provisions. 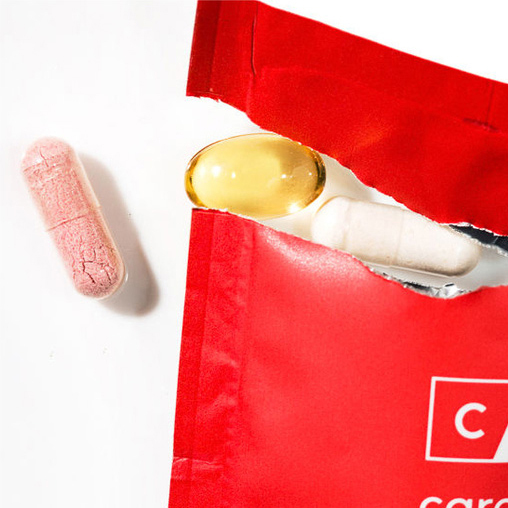 They've got everything from your new favorite snack (buffalo cauliflower) to your new most expensive beauty treatment (probiotic yogurt). (No seriously, this yogurt is really expensive.) 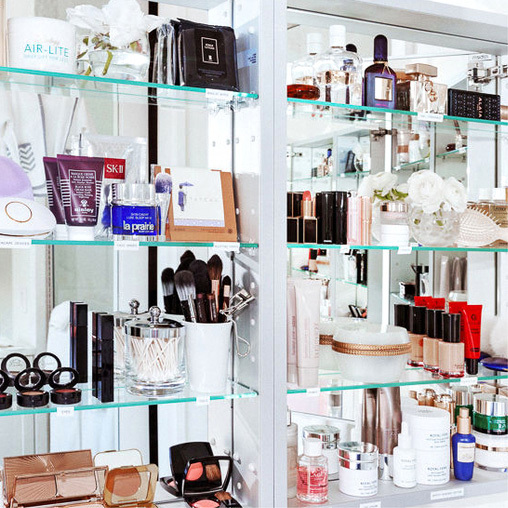 There's also a beauty section that you may peruse, but pace yourself. There's so much more to come. 6:30PM: Sort yourself, get dressed, and drive down Sunset to Night + Market, a fabulous Thai restaurant next to 1OAK. Very different scene. Very delicious food. 8PM: Get in bed! Watch a movie! You've got a lot to do tomorrow. 10AM: When in LA, do as the Los Angelenos do and work out. There's a lot to choose from here, but the one that's getting the most buzz is Rise Nation, a 30-minute workout on the treadmill-equivalent of a climbing wall. A bit like SoulCycle, but 15 minutes more efficient, it's seriously effective, but not overwhelming for newbies. And they haven't made their way east yet, so you get the smug satisfaction of trying it first. 11AM: Cool down and power back up with something from Kreation in Beverly Hills. Who cares what. Pick what looks good to you. 12PM: The good news is that you're already in Beverly Hills. The better news is that you're about to stay in one spot for a good long while, so screw traffic. STRIIIKE is a boutique beauty destination sprung from the minds of the Streicher sisters. With Kristie on brows (an Olsen-twin favorite), Ashley on hair (Kiernan Shipka is a client), and Jenn on makeup (she did Greta Gerwig for the Oscars), it's a literal one stop shop for everything you could possibly want done to your physical appearance. Call ahead and make sure you book a day when Melanie Simon will also be in residence—she's the electrical aesthetician behind the ZIIP and one of ITG's very favorite facialists. She's schooled in the ways of Biologique Recherche and nanocurrent technology. Hang with her first, then go to Kristie, then Ashley, then Jenn if you're in the mood for a touchup. Leave feeling utterly pampered and like you're part of the family. 4PM: From there, meander over to Violet Grey since you're in the neighborhood. This jewel of a store, nestled between Chloé and The Row, is like a portal to the most ideal celebrity vanity. Browse everything from Dr. Barbara Sturm products to the Apa toothbrush. This is as fancy as it gets. 6PM: Time to start thinking about dinner. Head back to whatever neighborhood you came from and spend some time taking care of #1. 10AM: Make your way out to Venice for a sunny start to the actual weekend. Grab a smoothie at Moon Juice and walk around. (Tom's got a recommendation for you here.) Next, stop into Living Libations while you're nearby. The website promises "true sensory revelry" and the IRL store promises little dopp kits made out of '70s vintage beach towels. Cute! 12PM: Don't leave the beach just yet. You're on vacation; spend some time loafing around in the sun. (Don't forget SPF.) While you're by the ocean, stop by either Gjelina or sister resto, Gjusta. And if you haven't made their sweet potato recipe at home yet, please bookmark this right now. 4PM: Before the day ends, you need to get your nails done. That's just a fact. The only place to do that in LA is Olive and June. They're nice, they're professional, their colors are on point. Nothing not to like. 5PM: The rest of the day is yours! Enjoy it.